… Steady’s Dilemma is a problem for many golfers and it’s most likely holding you back. Steady’s Dilemma hit me in the face when I gave a personal golf lesson to John (Steady) Stead. Steady is a regular contributor to the blog and has been a long time customer. But his golf lesson this day wasn’t going so well. He was all over the place. He was thinking way too much and generally getting in his own way. This is never a good thing and will result in horrible golf. And I know you know this, but the issue is Steady knew it too. But he was lost, despite knowing what he should (and shouldn’t) be doing. 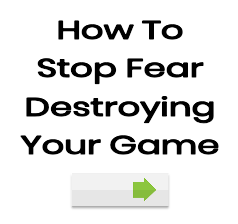 He was frustrated and so was I – how could he be struggling so badly? The answer came to me a while later and it has to do with the adult mind. Basically, we can’t leave well enough alone. Our pesky mind is always thinking and trying to work out right from wrong. Unfortunately, this kind of thinking ruins a motor skill like a golf swing – totally destroys it. fundamentals of the automatic process – to be honest, I had to push him hard to get away from the bad thinking. poor golf comes from when he gets away from the automatic process – but he snaps back pretty well and is some sort of AG pinup boy. skills) but somewhere along the way they fall off the wagon. Why? I think it’s human nature. Steady’s Dilemma is part of the learning process and when you recognise it you’ll take a massive step in the correct direction. You will never be totally free of poor golf, but you can recognise the warning signs much more quickly and get back on track. This is certainly way better than the alternative. It’s also real – there’s no false promises or excessive hype. Golf is a hard sport and quick-fix miracles are not possible. Automatic Golf offers a viable alternative for frustrated and dissatisfied golfers. It’s the truth of learning. And what’s the best way to avoid the hassle of Steady’s Dilemma? Apply the full principles of automatic golf that are laid out in my Simple Golf Improvement System. Yes, that is a blatant plug but this system gives you the full story and unlocks the best way to play/learn golf. I give away a tonne of free content (some say too much) but my Simple Learning System gives you insight/ideas/concepts that are not contained anywhere else. Plus, it’s a multimedia learning environment – you also get instant access to videos, case studies and solutions to common issues (Steady’s Dilemma is just one). As of today you can also get a premium version that gives you private access to me. We can chat about your game and get you back on track – it really is the best way. I’ve been doing this kind of thing for years now and I haven’t met a golfer I couldn’t help. If you’ve had some success with Automatic Golf but have drifted off the radar or you can appreciate the concepts outlined but need more, then I’m positive my Simple Golf Improvement System will help you. There are multiple versions available, be sure to scroll to the bottom of the page to get the full picture.